Udupi, 05 Sep 2016: On the occasion of the Teachers’ Day celebration on 5 September 2016, Bellevision.com is pleased to present the inspiring profile of Prof. Ronald Joseph Moras whose commitment to his profession, students and institutions has been exemplary and outstanding. 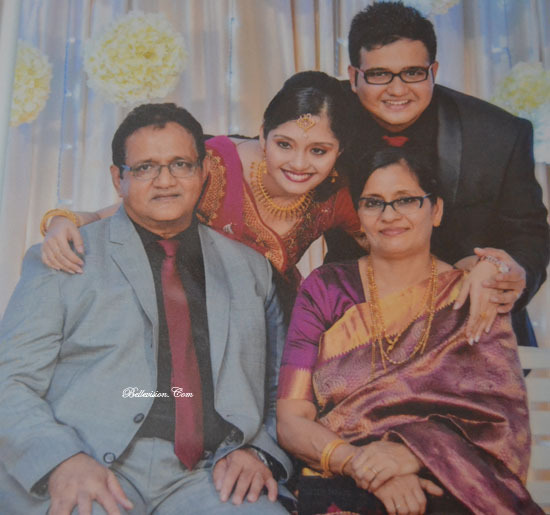 His evolution from a strict disciplinarian teacher to an understanding, caring and loving lecturer of Economics in St. Mary’s Degree College, Shirva manifests his dedication and commitment not only to his teaching profession but also to the student community and institutions in which he had served. His journey from Belthangady to Udupi and later to Shirva has been quite amazing and interesting. Prof. Ronald Moras was born on 30 November 1955 at Belthangady as sixth among eleven children, five sons and six daughters of late Santhan and Apoline Moras. He had his initial education in Belthangady Church School and continued higher education in SDM College, Ujire from where he acquired BA degree. Having a good physique from childhood, Ronald had an opportunity to be a part of Vollleyball and Table Tennis team during his high school years. Along with studies, he continued his interest in sports and was a member of SDM College Basketball and Volleyball teams. Besides sports, Ronald also manifested his talents in dramas, music and singing and participated in many school, college and parish programmes. When asked about the factors that inspired him to become a teacher, Prof. Ronald Moras said that right from his school days he had been aspiring to be a teacher. However, when he was studying in SDM College, Ujire, it was his Economics teacher K. Thimmappa Shetty who strengthened his resolve to become a teacher. Speaking further, Prof. Ronald Moras said that Prof. K. Thimmappa Shetty who had gone to Chicago in USA to undertake a research project had to return to India due to lack of funds and joined SDM College as an Economics lecturer. His in-depth knowledge of the subject, effective teaching methods and fluent English language inspired the young mind of Ronald to become a lecturer. Though Ronald was keen to pursue the path of a teacher, his parents were persuading him to go abroad like many other educated young men and even had his passport prepared. However, he was determined to remain in the native place and find means to get a meaningful employment. Meanwhile, Ronald attempted to appear for Karnataka Administrative Service (KAS) and Tahshildar level examinations. Having determined to become a lecturer in college, Ronald sought to acquire the qualification for that post by acquiring MA degree in Economics and enrolled for the Post Graduate course in Economics at Mangala Gangotri at Mangalore, an extension centre of the Mysore University. It was the first batch of the Post Graduate Economic Course at the Mangala Gangotri which later developed in to the Mangalore University. 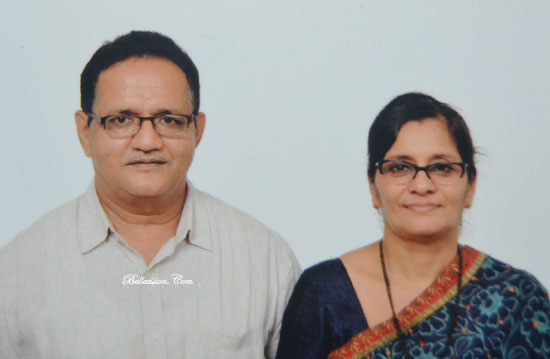 In a reply to the query as to how he moved from Belthangady to Shirva and took up the post of Economics lecturer in St. Mary’s College, Prof. Ronald Moras narrated the background of his journey from Belthangady to Udupi and eventfully to Shirva as a lecturer. After completing his Post Graduate studies in Economics and acquiring MA degree in 1979, during the summer holidays the Catholic Youth Movement (CYM) had organized a programme which was attended by the Congress leader from Udupi, Oscar Fernandes. During the discussion on the Emergency that was imposed by the Congress Government led by Mrs. Indira Gandhi, Ronald Moras expressed his views boldly and convincingly which impressed Oscar Fernandes so much that he invited him to Udupi. 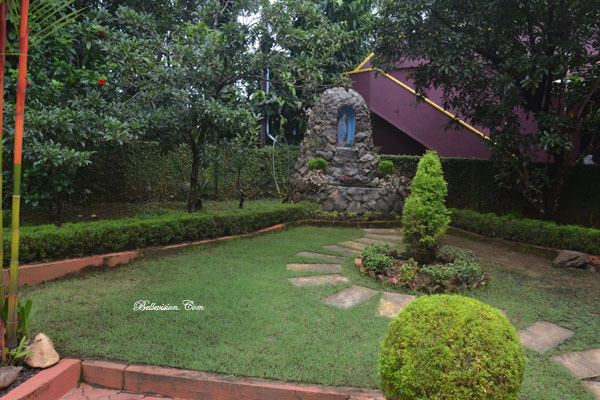 The laity of the Mangalore Diocese had started the Catholic Sabha in April 1979 of which Oscar Fernandes was the first President and Alban Rodrigues of Shirva, a renowned lecturer was its Secretary. On the invitation of Oscar Fernandes, Ronald Moras came to Udupi and was offered a job under the Canara Organization for Development and Peace (CODP) as full time worker with a fixed salary. He was assigned the task of visiting different parishes and persuading the parish priests to start units of Catholic Sabha in their respecive parishes. During one year that he was with the Catholic Sabha, Ronald Moras visited many parishes in the Diocese of Mangalore and succeeded in convincing a number of parish priests to start Catholic Sabha Units in their parishes. Prof. Ronald Moras recalled that he had mixed reactions from various parish priests. The Catholic Sabha was keen to start certain permanent projects such as a bank in Kundapur and a degree college at Shirva. It was with great difficulty and efforts of the then Parish priest of Shirva- Rev. Fr. Aloysius Rosario, the then Assistant Parish Priest and presently Bishop of Udupi, Most Rev. Dr. Gerald Isaac Lobo, Oscar Fernandes, Prof. Alban Rodrigues and others that St. Mary’s Degree College was established in 1980 with Prof. Louis Mendonca, Principal of St. Mary’s Junior College as the stop-gap Principal of St. Mary’s Degree College for one year (1980-1981) till Rev. Fr. 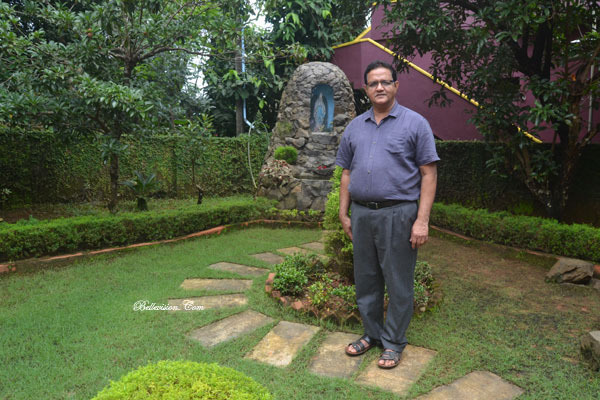 Henry Castelino who had been the Principal of St. Philomena College, Puttur took charge as a full-fledged Principal of St. Mary’s College. Ronald Moras whose dream was to become a college lecturer found an opportunity to fulfil his desire by applying for the post of Economics lecturer in the newly established college at Shirva and got the post at a salary much less than what he was getting as a full time worker under CODP which he had to give up. Besides, he had to terminate his first year LL.B. studies which he was pursuing in the Baliga Law College, Udupi as he had to devote fully to the profession of teaching in the college. During the initial period as a lecturer of Economics, Prof. Ronald Moras took guidance from Prof. Alban Rodrigues who was teaching the same subject in St. Mary’s Junior College. He had a vast experience in teaching as he was a lecturer in St. Aloysius College, Mangalore before shifting to Shirva, his home village. Prof. Ronald Moras gratefully recalled the teaching methods that he learnt from Prof. Alban Rodrigues. To a query as to how he developed himself as a student friendly teacher, Prof. Ronald Moras said that he considers Rev. Fr. Henry Castelino as his mentor as he learnt from him many fine qualities of dealing with the students. He further said that it was Rev. Fr. Henry Castelino who taught him to empathise with the students rather than sympathising. Recalling his evolution from a strict disciplinarian teacher to an understanding and empathising mentor of students, Prof. Ronald Moras said that initially his notion of a good teacher was to instil fear of the teacher in the minds of the students. However, with passing years, through his own experience and influence of Rev. Fr. Henry Castelino he changed his attitude towards the students and developed empathetic approach towards them. When the National Service Scheme (NSS) was introduced in the college, Prof. Ronald Moras used to participate in various activities and camps and thus came closer to the students and tried to get feedback about his teaching as well as his actions. This helped him to modify his approach towards the students. Having gained much experience in student-teacher relationship, after 2000 Prof. Ronald Moras began to visit the families of students along with the then Principal Rev. Fr. Wilson D’Souza and tried to understand the family background and financial condition of the students which enabled him to recognize real problems of his students. With these family visits, Prof. Ronald Moras realized that each student was unique and the same strategy cannot be applied to all students in general. In this way he began to advice and counsel the students depending on their family and financial background and help them in coping up their problems. Having faith in him, students used to seek his advice and guidance in financial, academic and even personal problems. Being himself a sportsperson during the college days, Prof. Ronald Moras was keen to promote sportsmanship among the students and used to go from class to class to choose different students for different games and sports and practicing with them. In order to promote academic excellence among the students, Prof. Ronald Moras would sit along with them in their classrooms even after the college hours helping them in their studies, clearing their doubts and solving their problems. The above factors manifest the gradual evolution of Prof. Ronald Moras from a strict disciplinarian teacher to a dedicated and committed lecturer to his teaching profession, students and institution. While he never compromised with the discipline among the students, he had great love for them and even secretly helped them financially to pay their college fees and buy books. Prof. Ronald Moras was instrumental in making the Parents-Teachers Association (PTA) an effective forum in Parent-Teacher-Student relationship. He started the practice of class wise Parents-Teachers meetings by which the academic progress of the students as well as their behaviour could be brought to the notice of their parents and remedial measures could be taken where required. Speaking proudly about his past students, Prof. Ronald Moras said that most of his students have been successful in many fields. Many of them have become teachers and lecturers, Chartered Accountant, businessmen, progressive farmers, advocates, bank managers, service sector personnel and media personalities. While serving as a lecturer in St. Mary’s College, Shirva from 1980 to 1995 and from 2000 to 2015 and Pompeii College, Aikala from 1995-2000, Prof. Ronald Moras shouldered many responsibilities. He was NSS Officer for two terms from 1989 to 1991 and again from 2011- to 2013. Besides annual camps at different places various other useful activities were undertaken including environment related programmes, literacy programmes, water harvesting, etc. During 1989-1990, the NSS Unit of St. Mary’s College, Shirva secured Karnataka State Award as Best NSS Unit. Prof. Ronald Moras was the coordinator of National Assessment and Accreditation Council (NAAC) in 2010, Internal Quality Assessment Cell (IQAC) (2010), Anti-Ragging Committee, Admission Committee, etc. 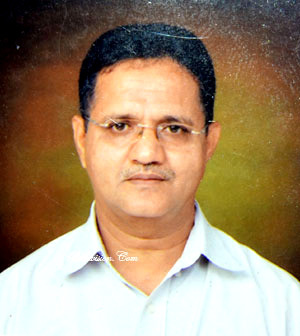 He was also associated with a number of University bodies such as member of Academic Council, Board of Studies in Economics, Board of Appointment of Examiners, life member of Mangalore University Economics Association and President of Mangalore University Economics Association. Under University Grants Commission (UGC) Prof. Ronald Moras acquired grants for Minor Research Project titled “Comparative Study of Life Insurance Products offered by Public and Private Insurance Companies: Consumer Perspective”, which he completed in 2013. 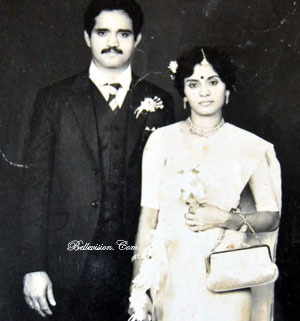 In 1985, Prof. Ronald Moras married Prof. Jacinta Winfred Fernandes from Mudarangadi who has been serving as a lecturer of Sociology in St. Mary’s College. Their daughter-Karen Janice Moras, M.D. (Paediatrics) is married to Dr. Savio D’Souza, M.D. (Medicine) and both serve at KMC, Manipal. Their son-Colin Joyster Moras is studying in M.Tech. Final Year in Digital Communication at MIT, Manipal. After serving for 35 years as a lecturer of Economics and having proved to be a dedicated and committed teacher in relation to his profession, students and institutions, Prof. Ronald Moras retired on 30 November 2015 and lives an active and peaceful life with his family at his beautifully built and maintained residence ‘Grace’. His service is still sought by the college during various programmes such as conferences and academic functions. His past students make it a point to visit him whenever they come down to their native village. Prof. Ronald Moras is a contented and extremely satisfied teacher as his dream of becoming a successful lecturer committed to his profession, students and institutions has been fulfilled. Bellevision.com wishes a Happy Teachers Day to all the teachers who are dedicated in shaping the academic success of the millions of the students and enabling them to chart the course of their professions and careers. it is a great reading about Prof. Ronald Moras, reatired professor of Shirva. I know him since 1979 when the Catholic Sabha was on the formative stage. A great social worker turned into a great professor. He was a gift to Mangalore Diocese and to Catholic Sabha and also to the Catholic community. May God shower his blessing in his retired life. Great happy moment to see the feature on My most admired teacher Moras Sir. A second name for commitment and dedication, Prof Moras Sir is always remembered for his humbleness and excellent teaching standards. Never seen a teacher of economics of his caliber who can explain the abstract theories of economics so convincingly. Equally admirable is Prof Jacintha Madam ( Mrs Moras) my Sociology Professor at St Maryâ€™s. May God keep this wonderful and noble teaching couple with good health , happiness and hope always and ever . My favorite teacher. Thank you so much sir for making me stand tall and I will remember you for ever. Though he did not teach me since I was in different branch, most of my daily friends in St. Marys used to speak highly about him. An apt article by Dr. Eugene on Teachers Day! Happy Teachers day Sir. Good Article By Dr. Eugene DSouza. Thanks to Belle vision. Dear k. Vishwanath kaup, Eer fr. Henry castelinon keryar marre. Aar saidini att. Retired ayini o punyatma..
Prof. Ronald J Moras is a committed teacher, friend, guide to all students. He always found a place in the hearts of students. He is very empathetic towards students and used to help them with money to the poor students. His service to St. Mary s College is remarkable. He always held the name of the institution very high in his life. He deserves this recognition during the Teachers day. Hats off to Bellevision. Dear sir today I am so proud myself that you are my teacher. Thank you very much sir being a teacher of mine. Wishing you a happy healthy and peaceful life in future. Thank you sir. A great teacher of St. Mary s Shirva. We were so lucky to be his students. Thank you so much sir. You will be remembered always. Moras Sir is not just an Economics Teacher but a Person who teach us how to lead our life. He guides the youth with true values. More than a teacher he s a friend to his students. When we have faced problems the solutions we found from him. We love you sir. Happy Teachers day Sir. You are the Best!!!! A real tribute to a great teacher.I am proud to say I was his student and he is a GURU forever to me. The writer missed to note that Prof.Moras successfully lead the college as it s Principal for nearly 5 years after the death of Fr.Henry Castelino the then Principal. Thanks to belle vision.